The mountain exerts a force from a distance. Its silhouette shatters our immaculate horizon; its peaks seize our imagination like a maelstrom drags a ship into its vortex. The mountain obliterates the setting sun, the rising moon, the constellations as they swoop carelessly low over the world. The mountain, known as Diablo, is a sight to behold. You should see it up close. Mt. Diablo at sunrise viewed from Marsh Creek Reservoir. The summit viewed from North Peak Trail, February of 2006. Springtime on the Falls Trail. North Peak viewed from Morgan Territory's Highland Ridge. A shattered rock near the Olympia summit displays a mélange of basalt, greenstone, chert and quartz. Diablo's twin peaks reflect the pastel light of sunrise. Viewed from Highland Ridge, Morgan Territory. 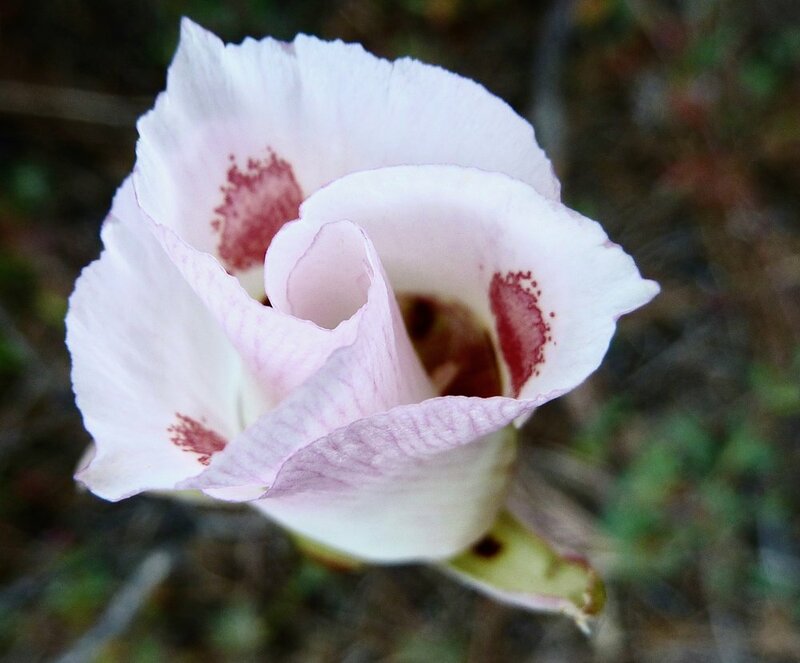 A butterfly mariposa lily unfurls along Olympia Trail. The marine layer drifts beneath the summit. A rock atop Eagle Peak mimics the trapezoidal shape of the entire peak. Below, Mitchell Canyon Road snakes up toward Deer Flat. The view from Eagle Peak on a foggy January afternoon. Back Creek Canyon viewed from the north terminus of Eagle Peak. Wind-whipped ice razors stream from buckbrush along Summit Trail, February of 2009. Silver bush lupine, Prospector's Gap Road. Diablo's western foothills slither through the fog. Canyon live oak, Juniper Trail. Mt. Diablo viewed from the Round Valley summit, December of 2009.